The queue for upgraded KAMAZ-5490 Neo trucks is already scheduled for August, and the company plans to increase the volumes of their production since July. Recall, the assembly of the first serial lot of KAMAZ-5490 Neo mainline tractors began in mid-April, and the first 200 cars will enter the parks of the four largest corporate clients, reported KAMAZ’s press service. 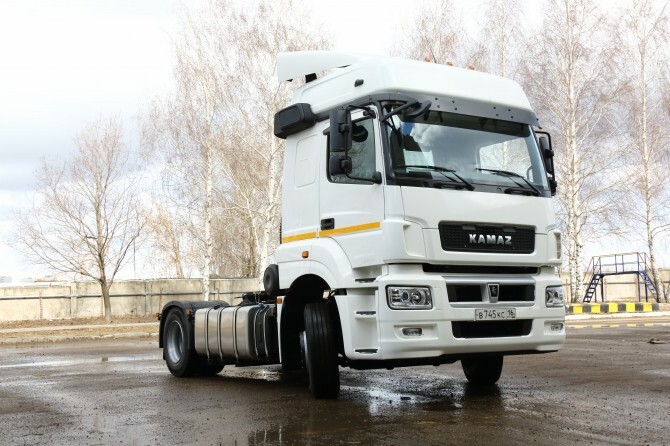 According to Andrei Ignatyev, the General Director of the KAMAZ trade and finance company, the first 200 KAMAZ Neo vehicles will be delivered in May to four large fleets of corporate clients. “But in general the queue is already scheduled until August, and from July we plan to increase the production program by them,” – he said. The new line of dump trucks is also being expanded, which are also in demand on the market, as well as a line of special equipment. “Only the chassis is not very interested now, that’s why we pay great attention to contacts with our partner-plants that are manufacturing special vehicles,” – said Andrei Ignatiev. – “The customer has become more demanding, he wants more powerful, comfortable, economical and environmentally friendly vehicles with greater load capacity. Our new strategy is to increase customer satisfaction”.